After falling apart against the Oregon Ducks nearly a week ago, USD men’s basketball team bounced back Saturday to beat Northern Colorado, 85-67, at Jenny Craig Pavillion. The Toreros (9-3) took control late in the first time and went on an 11-2 run for a 39-28 lead heading into halftime. Early in the second half, the Bears (6-3) cut the lead to nine points. 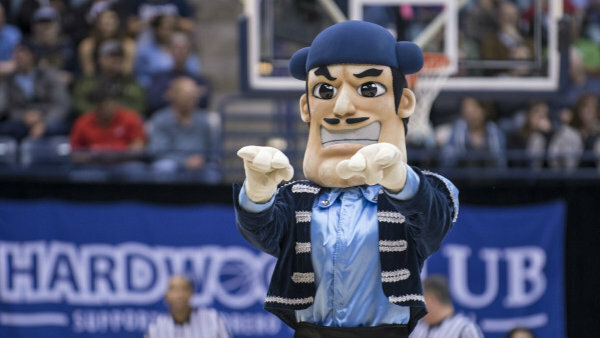 They repeated that feat three more times before the Toreros pushed the lead to 17 points at 62-47 midway through the second half on red-shirt freshman Joey Calcaterra’s steal and score. With 3:34 to go, USD extended its lead to 26 points at 79-53 — its largest lead of the game — on Olin Carter III’s four-point play (a 3-pointer and free throw). Unlike last Wednesday, where USD was held to its second-lowest shooting percentage of the season, Toreros were 33 of 58 (57 percent) from the field and 8 of 14 (57 percent) from the 3-point range. Carter III led USD with 18 points, followed by Isaiah Pineiro at 17, Tyler Williams added 16 points, Alex Floresca scored 12 and Isaiah Wright had 10 points. The Toreros were able to avenge their loss to the Bears in last season’s CIT quarterfinals — the last time they lost at home. USD is now 7-0 at home this season. Up next, the Toreros travel to Las Vegas for the Las Vegas Classic. USD opens the tournament against Washington State at 7 p.m. Saturday.